There is something that you need to realize as a call center agent -- you must realize that "you matter". I am not saying this as a sort of motivational dialogue, but this is just the plain truth. Call centers have a projected daily headcount on the floor, so being late or absent will impact production. Being late here in the Philippines is a common thing -- it is not really seen as a big deal, however, for call center companies, to be late is truly a no-no. So how do we come to work on time? Being late is habit forming. If you continue coming to work late, you will see that you will always continue along this trend. Call centers have work force managers who will definitely see your habitual tardiness, so be wary and do not even start this habit. Some people do not come to work early since they feel cheated when they do not start work on the exact time of their shift. Always remember that your work habits can be seen by your bosses. If you always come to work a bit earlier, and start doing your preparation and task - this will be recognized in the long run, and promotions should come. Do note as well that you always need a few minutes to set-up your computers in call centers -- so come in 15 minutes earlier. You have a job and part of doing your job is coming to work on time - so you just do it. 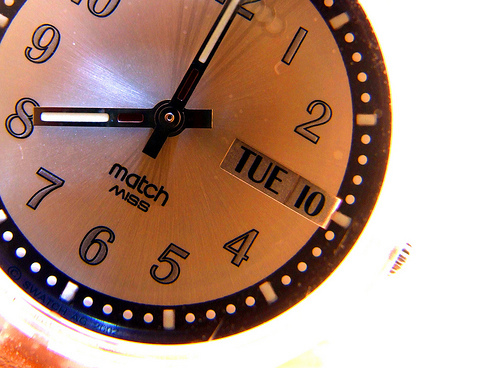 time zones -- prioritize your work schedule. Self-discipline is a key trait needed to survive and make it in call centers. Being punctual needs not only a solid decision that you will not be late, but also shows how much control you have over yourself. Before you go to sleep, make sure that everything has already been prepared for your work tomorrow. The good thing about being a call center agent is that you can look as plain as you want to. No need to put in too much effort on what you should wear, just look proper and respectable. Part of call center incentives are those rewards when you have no tardy marks. So set your eyes on the prize and make this a part of your overall motivation. I apologize, but I dont have the answer. Better to research reviews online or ask proper institutions if the so called cc is legit. like this post descriptive and informative.